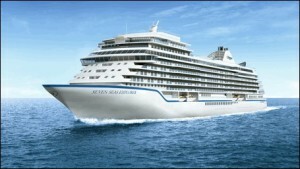 Today, Regent Seven Seas Cruises revealed the first rendering of its new ship, Seven Seas Explorer, and launched a dedicated microsite for the ship designed to be the most luxurious ship ever built. The microsite, found at http://www.rssc.com/explorer, is the official site for details, imagery and updates on the ship, which will debut in the summer of 2016. The site will feature the latest information on Seven Seas Explorer, including updates on construction, public space and suite designs, onboard amenities, itineraries and other elements as they are revealed. An added feature to the site is a never before seen two-minute video that sets the elegant tone for Seven Seas Explorer, while building anticipation for the newest addition to the fleet. The one-stop portal for updates on the stunning 750-guest, all-suite, all-balcony ship, includes sections on milestones and events, yet-to-be announced inaugural season details and general news leading up to the summer 2016 maiden voyage. There is a dedicated section for Seven Seas Society members, the line’s loyalty program, where guests can register for priority reservation details pertaining to the ship’s inaugural season. 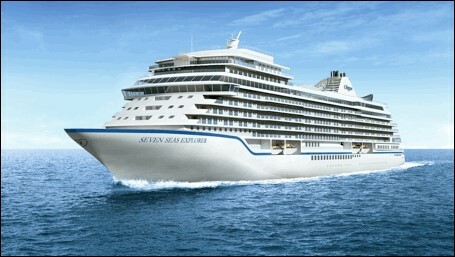 Reservations for Seven Seas Explorer’s maiden voyage and inaugural season open Jan. 19, 2015 exclusively for Seven Seas Society members, and become widely available starting Feb. 11, 2015. For more information about Regent Seven Seas Cruises or to receive a brochure, guests can call 1-844-4REGENT (1-844-473-4368) or contact a professional travel agent.